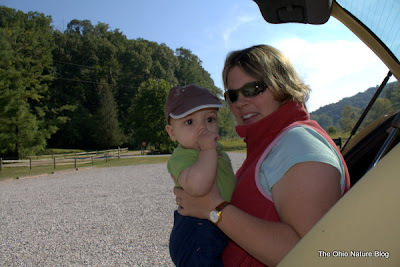 Megan and I took Weston to Clear Creek Metropark this Saturday- down at the gateway of the hocking hills. With the construction of the Lancaster bypass, we can be in Ohio's hill country in about 50 minutes. When we're there, it seems as if we're much further from home than we really are. One of things about living in Columbus is that we're a nicely sized metro area, but we're also a pretty compact metro area, in spite of all the suburban sprawl taking place. This means, at least for now, that we can take a fairly short drive and be out in very rural areas. 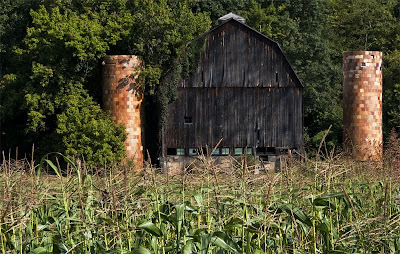 Growing up in the megalopolis that is northeast Ohio- finding rural serenity was just about impossible. Although I did find out that this was in fact possible when I left home for Hiram College- a short drive but also a world away from home. Back to Saturday. 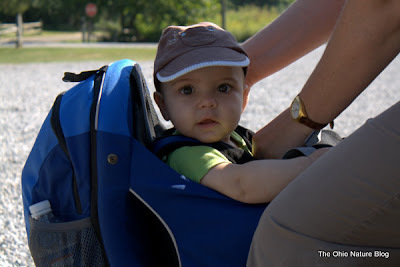 We're gradually taking Weston, 6 months old now, on increasingly longer car rides, and using our backpack carrier we were graciously given by Megan's Mom. 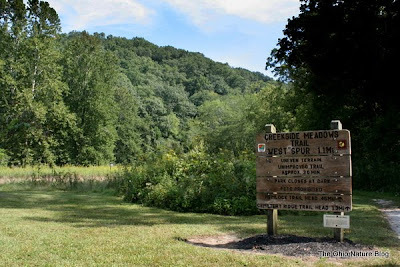 Although Clear Creek is famous for its hilly terrain, I remembered from a former visit, in my single days, there is fairly flat trail that followed the creek. Since Megan was prepping for a 5K the following day, that would be the perfect trail to walk with Weston. Here we're about to load the little guy up and hit the trail. In the carrier, but not yet on my back. On my back. When I first put this thing on, I'm shocked at just how heavy it is. 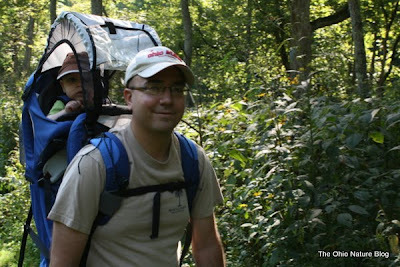 Weston is over 19 pounds, and the carrier itself is at least 5 pounds- it is quite a load, until you get going. Clear Creek Metropark is also Ohio's largest dedicated State Nature Preserve- a fact not widely advertised once you are in the park. The creek itself runs clear and cool- cool enough to support a stocked population of brown trout, so the park is frequented by anglers and hikers alike. 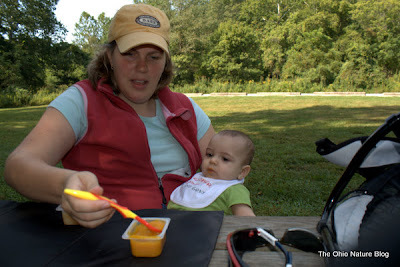 Weston looking mighty baby like- and being fed Gerber squash. I tried it- sweet, like butternut squash. Not bad at all. Here's Weston's new sinister grin. We're not sure how he came up with this, but it started this past Friday. Whenever he gets excited, he seems to flash this funny smile. It is pretty cute, since it reveals his newly formed teeth! Dad, I really must eat this stick. Don't worry, mom pulled it away a split second after she took this photo. But I have to get some nature in- The floodplain of Clear Creek reminds me of the Olentangy, except for one big difference- the lack of invasive species. No honeysuckle, no garlic mustard. 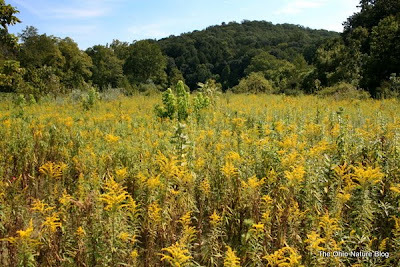 Overall, a very nice example of a floodplain community, and all the late summer species were blazing. 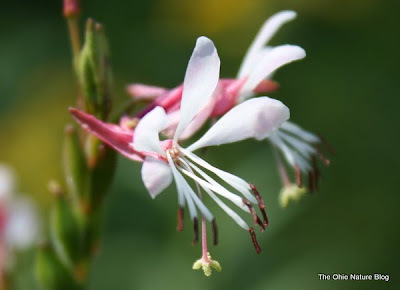 Here's one to watch for, its Gaura biennis. These small pinkish and white flowers don't look like much until you really look at them closely, and wow, they're really quite neat. Check out that dangling stigma. Very cool. Megan and I really enjoyed our short hike with Weston, in all, about two miles in the bottomland of Ohio's hill country. We enjoyed it so much, that we had a little idea. 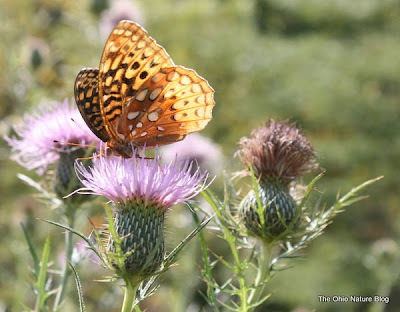 An idea that we're calling the Metro Parks Challenge. What is this challenge? This fall, before the snow flies, we're going to take Weston to each Metro Park in the central Ohio Metro Parks system- all 15 of them- before the snow flies. Can we do it? It should be fun trying, for sure. 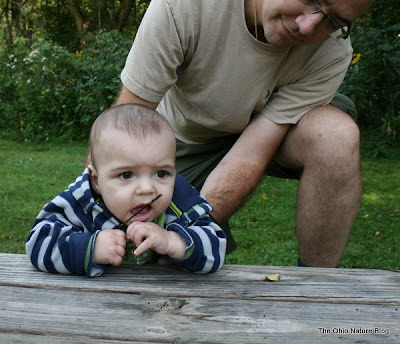 There still are a handful of parks that I've never been to, and Weston will be able to tell his baby friends that he's been to all of them before reaching the tender age of one. 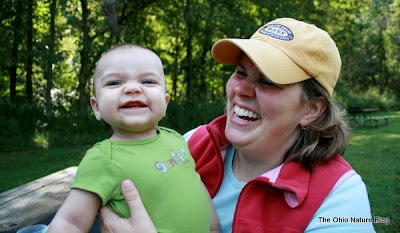 We'll both be blogging about this- so also look for Megan's perspective on her blog- My New Life as a Mom. 1 down, 14 to go. I really enjoyed this post. Good Luck with your Metro Parks Challenge. I spent a lot of time in that area in the 70's at OSU's Barneby Center. I just learned last year that the Barneby Center area is now part of the Metro Park. You've just reinforced the idea that I need to get back up there and visit that area. Thanks. Weston is so handsome! Saw Melissa and her bunch yesterday at the lake. We have that native Gaura by us. You're right, you have to really pay attention or you could miss it. We tried to dig a little bit up to plant in the garden, but it's in the rockiest, hardest clay you can imagine and the shovel didn't even make a dent. It's amazing it grows in that stuff! So we'll just admire it on our walks. Oh, I took pictures of it just the other day. I want to do a photobook of our Paulding County wildflowers that we've encountered. Your photo of Guara really shows off this great little wildflower, one that is pretty readily available both in nurseries and by seed. I spent a week in Athens this summer and visited Clear Creek three times while I was there. I love that park and want to go back!! Your little one looks so sweet. I hope you meet your challenge. Looks like he's definitely up for it! Good luck with your Metro Park challenge. I STILL have not been to Clear Creek, even though it's only about an hour away. Must... go... there....! 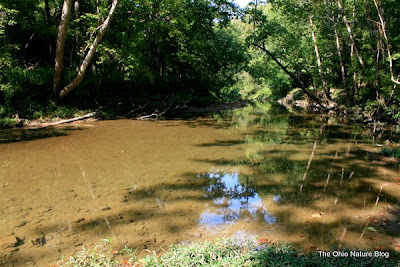 Slate Run is another I would like to check out. I like Blacklick, but I haven't been there in quite a few years. BTW, sorry I missed you at the State Fair. We got to the natural resources park right at the top of your shift, but we didn't stick around too long, unfortunately. How's this for appropriate word verification: "parks"
Tom: Wonderful captures of your park trip. That carrier for Weston is so cool. Love the smiley photo of him.